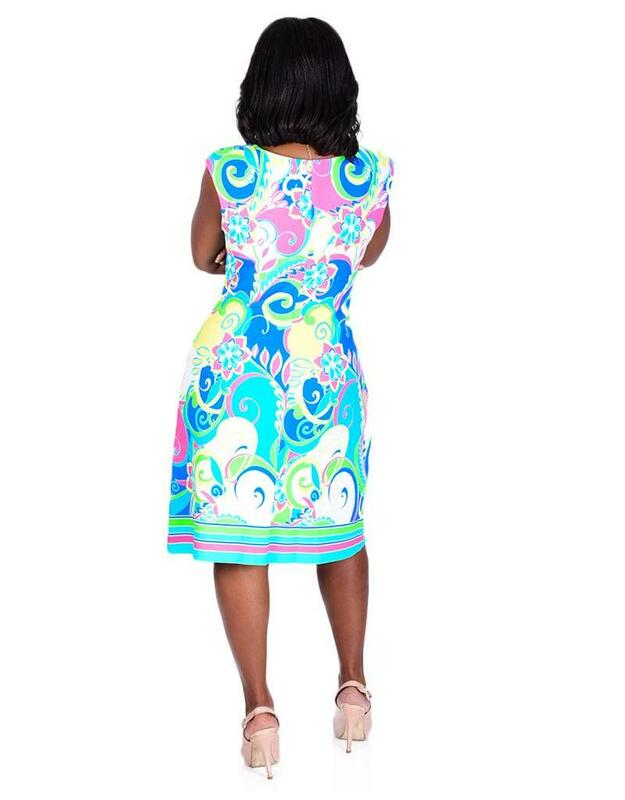 Vivacious and fresh, this cap sleeve printed dress is great day wear. 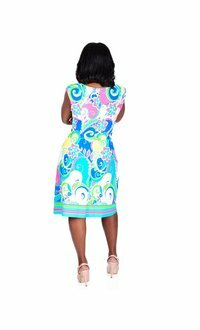 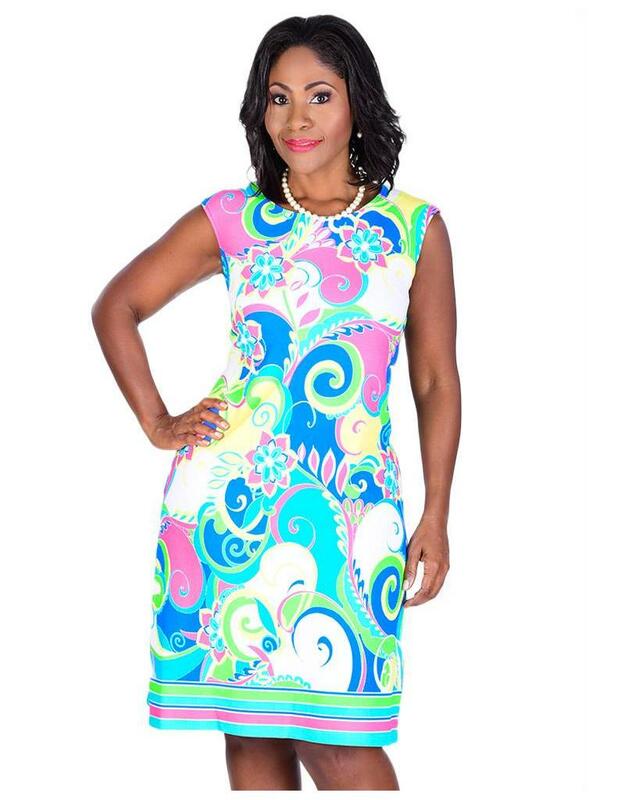 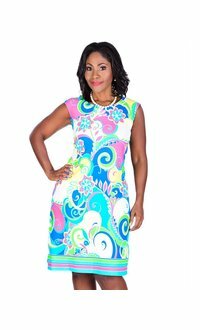 The dress is created from this modern pop art print; it features a round scooped neckline, cap sleeves and has an A-line silhouette that ends just on the knee. 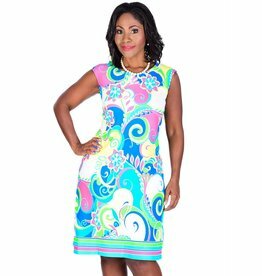 You can pair this dress with pumps for career wear or a fascinator and a clutch for your next afternoon high tea.